With both Father’s Day and the summer BBQ season just around the corner, here are a few barbeque accessory gift boxes which any grillmaster would love. 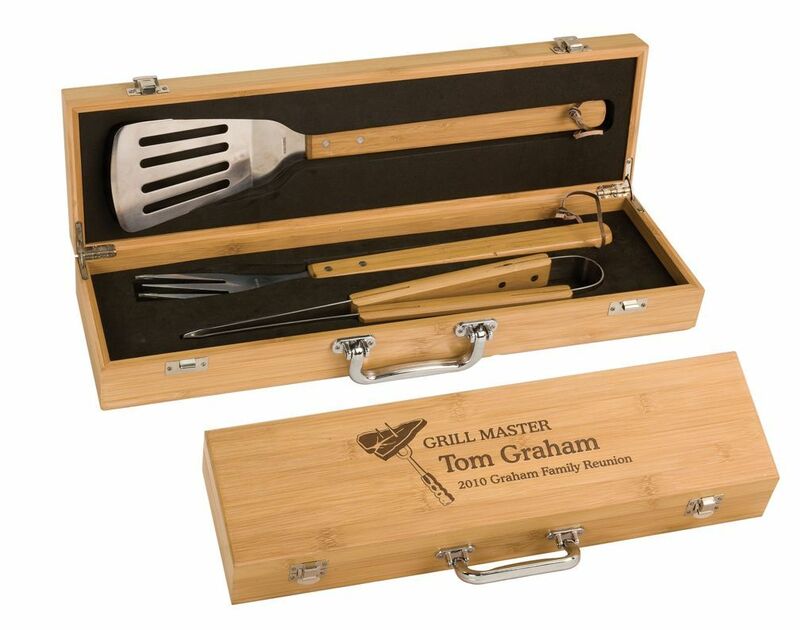 Each of these personalized grilling gift sets includes custom laser engraving on the top of the gift box, and optionally you can add personalized engraving on the handle of each tool. Check them out!! Made from sustainable bamboo wood, and with its fitted foam interior, carrying case with handle, spatula, tongs, and grilling fork – this BBQ gift set has it all! 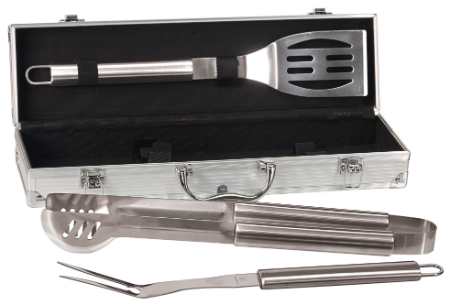 The set includes custom engraving on the top of the case, and optionally you can engrave a name or just about anything else on the handles of each grilling tool. Rosewood just oozes class. With stainless steel handle and latches, matching BBQ utinsels and free custom engraving, this grilling gift set is a sure winner. We can etch just about any quality logo, graphic, or text. We can even engrave photographs! Make it memorable with this outstanding grill accessory set. 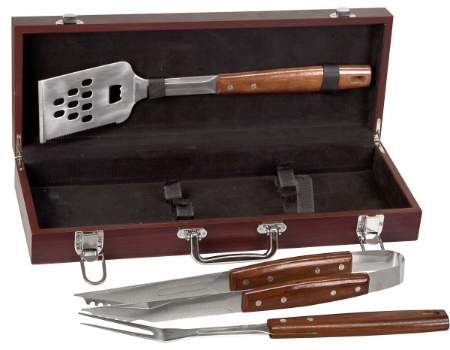 Hearty and manly, this stainless steel grilling gift set is perfect for any guy. The stainless steel will match just about any BBQ grill on the market, and with custom engraving on the box included this makes for a unique, personal, and treasured Father’s Day gift for the grillmaster.